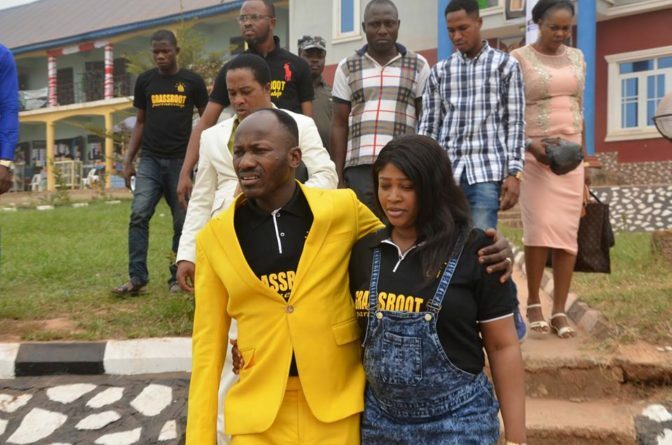 Apostle Johnson Suleman, the general overseer of the Omega Fire Ministries, has been left embarrassed by a Nigerian man during a convention last week in Ottawa, Canada. The man disrupted the sermon as he blasted the cleric by saying ‘Suleiman you’re fake man of God and you know that. God gonna strike you down, you need to repent’. The church ushers and leaders immediately rushed the man and pushed him out of the church as congregants looked on. The man even threatened to call the police while being dragged out of the church. Nigerians have been left wondering what must have prompted the man to confront the pastor publicly.